It’s a great week in Sydney, finally the weather is turning on a bit of summer! 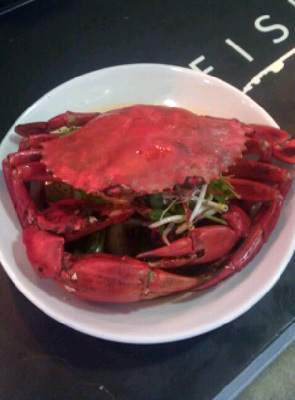 In Manly this week we have live mud crabs as a special. Head Chef Micheal is preparing these with a chilli black bean sauce and bok choy. Pictured opposite, it looks great and is sure to please the crustacean fans! Also available in Manly until Friday this week (13th Jan) is tempura sand whiting with asparagus, snowpeas and dipping sauce. The specials are regularly changing at all three Garfish Restaurants, follow us on Facebook and Twitter for regular updates on our menu.